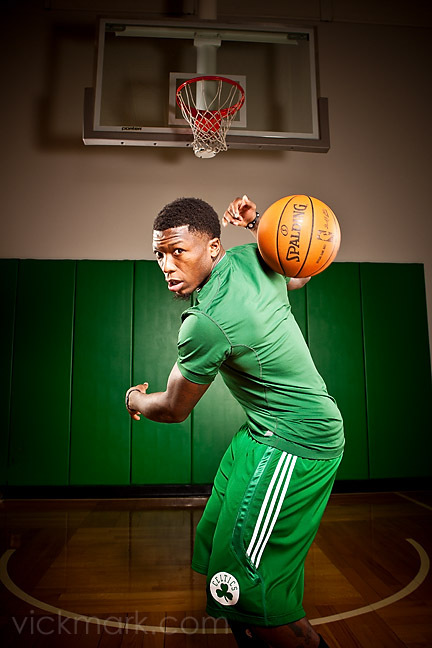 This is a follow-up to my 11/15/10 post Boston Celtics Basketball Portrait Shoot. 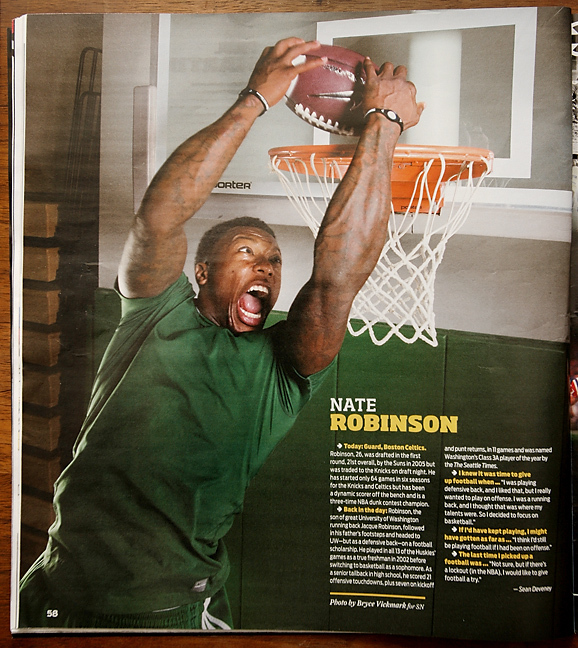 The job was to photograph Nate Robinson of the Boston Celtics slam dunking a football for the Sporting News magazine. The story was about athletes who excel in two sports. Nate being a former University of Washington defensive back. We arrived at the Celtics training facility in Waltham at 11am as we were told that the shoot will happen sometime after noon. We set-up lights on stands in a hallway off the practice court and waited. At about 3pm we were told it was time to move. We weaved through all the players still on the court and set-up. 10 minutes later Nate arrives and gives me fifteen minutes of portraits and slam dunks. It was a nail biter but a lot of fun at the same time! While we were waiting I took a stroll around the facility and noticed a semi truck in the parking lot without a trailer on it. Upon closer inspection I realized it is Shaquille O’Neal’s ride. 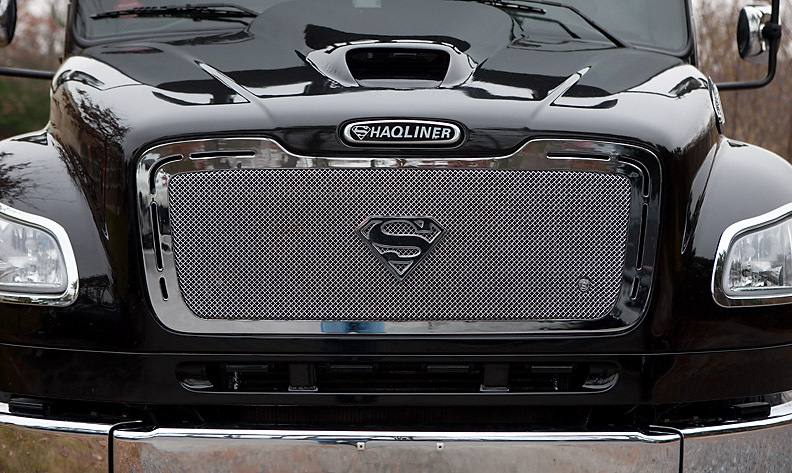 The Shaqliner! I had the pleasure of photographing New England Patriot football player Fred Taylor at Gillette Stadium in Foxborough, MA earlier this month for the Sporting News Magazine. The story was about Hall-of-Fame caliber players who spent their whole careers with one team and now are playing their first year for another franchise. Taylor was a Jacksonville Jaguar from 1998-2008. He could not have been a nicer guy. Thanks a lot to Casey O’Connell of the Patriots for all of his help! Light Data: Profoto Acute 2R 2400 pack with beauty dish on the key light on a boom stand from above. Two bare bulb heads with reflectors from behind the subject on the left and right. Underexposed the sky by about a stop and a half.